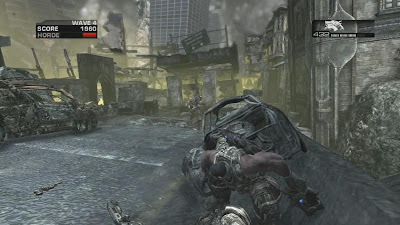 Today Xbox announced the release of the Combustible Map Pack, a collection of three new maps for Gears of War 2 available for download on Xbox LIVE Marketplace for 800 MS Points. The Combustible Map Pack unleashes three new multiplayer maps: Flood, Gold Rush and Fuel Station. • Flood is a very tight map that's made extra snug when the environmental hazard of Imulsion begins creeping up around the edges. As the playing field closes in, the firefight will intensify as combat is forced to the center of the map. Teams skilled at flanking their opponents will have a powerful edge. • Gold Rush takes place in an old Imulsion refinery that now serves as a hotly contested battleground. 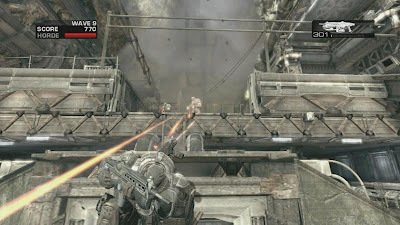 Players must survive heavy crossfire as they infiltrate the factory and navigate multiple tiers. Breakable glass allows for a clean shot at those who make a dash for the Longshot rifle while bolder players make their run for the heavy weapon. In the right hands, the Mortar can be devastating on this map, so keep those smoke grenades armed as the concussive effect comes in very handy. • Fuel Station is situated in a desolate area marked by an abandoned fossil fuel station. The team that secures and controls the station is likely to be the side that wins the match. 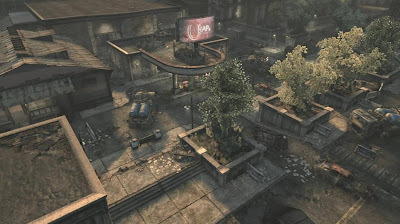 An especially strategic location on this map is the rooftop, as there are only two points of entry – the main elevator and a staircase on the back side of the building. Heavy weaponry is situated right in front, which presents a high risk to reward ratio in this level. Lugging the Mulcher around, deploying it and revving it up can keep an entire team at bay, and unleashing hell from the rooftops is always an excellent tactic. All of the multiplayer maps in the Combustible Map Pack are playable in the highly popular, five player co-op Horde mode.